When it comes to rubbish removal, you would definitely want to choose someone who is a pro in the field. 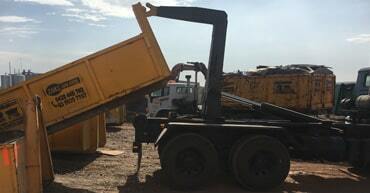 Operating its business from Coolaroo, Zaks Bin Hire has been providing skip bin hire solutions to homeowners, businesses, and commercial areas. We address all kinds of Melbourne rubbish removal needs of our customers while focusing on their distinct requirements. Our diverse clientele is quite satisfied with our services as we provide them with an opportunity to enjoy hassle-free waste removal. We take pride in being an Australian company and serving our nation in protecting its environment. Our goal is to keep Australia beautiful and for that, we can go to all ends. As responsible citizens of this country, we aim to curb the problem of overfilled landfill sites and intend to promote recycling. This is the only way through which we can ensure a healthy environment for our future generations. With an updated and detailed knowledge regarding skip bins in Australia, we have the best resources to keep our environment clean and beautiful. Before you can actually choose a company to carry out the rubbish removal in Melbourne for you, a lot of research is required so that you are able to work with someone who would produce the best results. After the client has already spent a significant amount of time in realizing that we are the right choice to carry out the cleaning task, we don’t believe in further complicating the things for him. All you need to do is to follow the simplest three-step method of hiring us. First of all, select the type of rubbish removal service which you require from us. Our services include everything so you can design a customized plan for yourself. We will present a quote for the services which you require from us and then proceed towards agreeing on all the details. After completing the deal, we will deliver the required bin to you and start with our services without any delay. Our exceptional services cannot be matched by anyone in the industry but still, we believe in not being too harsh to the pockets of our customers. With high-quality work, we only charge our clients an amount which is justified given the value of our services. We also provide the proper tools to collect and dispose of the waste so that our clients can carry out the cleaning process without any mess. We have a very wide range of affordable skip bin hire options for our clients so that they can create a plan according to their budget. Our diverse variety of skips, ranging from 4 cubic meters to 14 cubic meters, can easily be availed at reasonable prices. The smaller ones are suitable for residential clean-ups whereas the larger ones can be used for industrial and commercial purposes. Whether you are just de-cluttering your home or constructing a huge building in downtown, we have got the perfect skip for you. Our experts can even guide you to make the right decision if you are confused in choosing the right-sized skip according to your requirements. Since we do offer a really large variety in skips, you would definitely need some help in making the right decision. To further facilitate our clients, we offer flexible hire periods ensuring that you are able to save your time and money. When we say that we address all your needs and concerns, we truly mean it. As per your ease, you can choose a time period and use the skips without any obligation. It is our promise that the skips will be delivered to and collected from your doorstep at a time which is suitable for you. It is this kind of easily accessible Melbourne bin hire service which makes Zaks Bin Hire stand out and the foremost choice of the clients. They don’t necessarily need to go through a lot of troubles to ensure that all of their waste is disposed of timely. Why Choose Us for your Bin Hire Needs? It is our years of experience in waste management which has built our expertise. We have been around for quite a few years so you can be certain that our knowledge and level of understanding regarding this industry is way beyond the reach of many newbies. There is no denying that our clients can put a blind trust in our reliability and efficiency in delivering the rubbish disposal unit and taking it as soon as you are done. If your local council or shire may create some issues regarding the parking of any of our rubbish removal units, we can easily take care of the paperwork and get all the permissions taken within a few hours. utmost professionalism and attention to detail. Call us now to get more information and present your distinct requirements. Zaks Bin Hire would be more than happy to serve you!